If you want to take your artistic skills from conventional pen and paper to a whole new level, then you are on the right track. In this article, allow us to guide you gauge your preferences in choosing the best drawing tablet that will best suit your needs and budget. Whether you are a beginner or a professional, this article will help you choose the perfect pick among all the drawing tablets listed on the internet. Unleash the great artist in you with these tools, whether to satisfy your hobby or impress your clients at a professional level. Our top pick for the best drawing tablet is the Wacom Intuos Pro Paper Edition. With this tablet, you can choose however you would want to work or play. Make your sketches physically on a paper, and this tablet will digitally translate your creation right away. If you want to draw directly on the tablet, no problem! You can readily use its Pro Pen 2 with your tablet connected to your PC to view your illustrations. Classified as the best value tablet for your money, this could be the best investment you can ever make yourself as a digital artist. Bringing out your imaginations through pen and paper is a beautiful form of expression, but bringing your imaginations to life is a thing I personally think drawing tablets can efficiently accomplish. In a nutshell, a drawing tablet or otherwise known as digitizing tablet is a hardware input device that allows you to digitally create drawings and sketches with the use of a stylus. Its touch-sensitive drawing surface transfers all the sketches you make on the tablet to your computer monitor, using it like a digital canvass. Drawing tablets are best designed to make illustrations easier, faster, and more precise for artists who take their passion or career in digital artwork seriously. Sure, you can draw with a mouse, but it can really get awkward; and even if you have mastered using the mouse in creating your illustrations, trust me, it can still get cumbersome and laborious on your wrist especially if you take on heavy and complex tailpieces. The evolution of artworks from the traditional pen, brush, and paper to the modern way of digitizing them on screen is inevitable. Thus, drawing tablets have also turned the corner with time allowing you to create more realistic creations in a precise and efficient manner, enabling you to increase your overall productivity and improving your work quality. Drawing tablets are an incomparable investment in your passion or career since they enable you to enhance your illustrations to real-world examples using graphics software like Adobe Photoshop. Here, you can take advantage of sophisticated drawing tools that can intensify the character and presentation of your artwork. You can also upload readily-available images to your tablet so you can work on them directly using this software. Drawing tablets are not just for artists! They too are best for architects, engineers, photographers, graphic and fashion designers, as well as cartoonists. But if you are a beginner, and have the passion for artwork, don’t hesitate to get one! You can sharpen and hone your skills with this digital drawing tool and you will surely not regret it! Although it’s just a matter of time for you to get used to the mechanism, it won’t take long until you find yourself maneuvering it naturally the way you would with a pen or paper. With all the features it offers, I can only say that a good drawing tablet is one of the best investments every passionate artist should have for himself. Before picking out, you need to identify first whether you do it at a professional level or solely to satisfy your hobby. If you are a beginner, I would suggest going for a budget-friendly option - having the same technical settings with the rest of the models, but of course, with more basic features. Our budget pick is the Huion H610 Pro Graphics Drawing Pen Tablet which would be a good start for every beginner who dreams of taking his drawing skills to a new and interesting level. Pressure sensitivity is one of the most relevant specifications that you should carefully take into consideration. Why? Because this will help you comfortably manipulate your stylus and achieve more flawless strokes, thus unmarred output. Pressure sensitivity allows you to draw the way you would on traditional paper and pen - the heavier the strokes you make, the thicker the lines you get. Pressure levels range from 256 to 3000. The higher the level of pressure your tablet can register, the better. Size is contingent as to what kind of user you are. If you are a beginner or a hobbyist, it would be best if you opt for tablets with smaller surface areas (4”x5”). Professional illustrators usually aim for ones with larger surface areas. However, this would mean maximized arm movements as you draw. If you prefer lesser arm motions, I would suggest going for smaller tablets. You might be wondering how to ensure that your tablet corresponds to the aspect ratio of your computer monitor. You don't need to worry whether or not it matches with your monitor’s aspect ratio because this is something that your tablet software can handle. This is the area of your tablet that receives the signal from your stylus and where you can practically draw on. Generally, the tablet size itself is bigger than the active screen, and most manufacturers advertise only the active area. Therefore, consider adding an allowance of a few inches (around 3-5 inches) from the dimensions of the active screen in order to get an idea of how big your tablet will be. Above all, it is paramount to give utmost care to the active screen because once damaged, it will greatly affect its responsiveness to your stylus as you work, thus reducing its functionality. As an artist, you would want to opt for one that has a predominantly high resolution, since the appeal and outward aspect of your illustrations matter most. Tablet resolution measures the printing resolution using halftone screens. High-res tablets are best in giving you sharp and defined drawings - which is something that you would aim for. 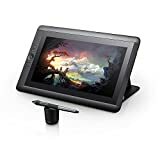 Most drawing tablets you see nowadays can connect to your monitor wirelessly or through a USB portal. I’d say that wireless connection is more convenient and gives you the flexibility to move and work. Some tablets only have one option for connectivity (either wireless or USB), while others feature both. There are some free, paid, and pro versions of software tools you can choose from. Adobe Photoshop is a paid software with a good number of tools you can work with. Autodesk Sketchbook, on the other hand, has free and pro versions. For beginners, MyPaint is a good tool to start as it has basic features which you can download for free. I would also recommend Krita, an extended tool-set that you can also get for free. On the other hand, a bundled software can offer you a painting program as well as enhancing utilities that make the most out of your device. Choosing a good-quality stylus is commonly overlooked, but keep in mind that you are going to work with this tool for long intervals of time. You might want to carefully consider the grip of the pencil as well as the overall comfort it can give as this can greatly determine how well the strokes are fashioned. Although most cheap drawing tablets come with poorly-made styluses, they can still work effectively especially if you already get the hang of maneuvering them. Drawing tablets are quite pricey especially if you aim for professional features and good build quality. 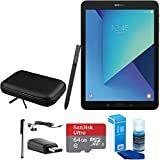 As beginners can easily pick budget-friendly ones with basic features, professionals and fanatics can invest in ones that are packed with outstanding features not commonly found in basic tablets. At the end of the reviews section, you will find the tabulated features for each of the tablet described in this article for an easier comparison that will help you decide best in choosing the right model for you. Our top pick among the best drawing tablets in the market is none other than the Wacom Intuos Pro Paper Edition. If you’re up for slick and impeccable sketches, this could be your ideal pen tablet. Supporting a whopping 8,192 levels of pressure sensitivity that allows for a more natural feel and 60 degrees tilt recognition, you can’t go wrong with it. This Paper Edition allows you to literally sketch on paper using its EMR-supported gel pen. The patented electromagnetic resonance (EMR) technology is what makes this pen able to operate without batteries or cords. All you need to do in order to sync your drawings on paper to your tablet is attach the sheets to the tablet using its bundled Paper Clip. When it picks up the presence of the gel pen, it then records and saves your drawings. For that, you’ll need to install Wacom’s Inkspace App. 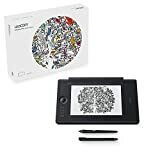 So even when you’re not connected to your tablet and you greatly enjoy sketching on paper, then this item could be what you’re looking for. Wacom has refurbished the Intuos Pro for a more elegant and super-slim design which allows for minimal desk space usage without decreasing the active area. The best thing this version can offer you is a fluid and more receptive feel, thus a better experience compared to previous models. This model and its accessories are very well-designed giving it a professional and classy look. Its touchscreen has excellent palm rejection feature so it doesn’t recognize the strokes oftentimes created by your palm. It supports both USB and Bluetooth connectivity. Though this model’s price is a bit steep, I’d still say that it’s undoubtedly an invaluable investment to your career or hobby especially if you’re a professional artist who wants to take on a brand new drawing experience. So it is definitely worth the price tag. Our mid-range pick is the Artisul D10 which is best for every type of artist, whether you are a beginner or a pro. This smaller and more portable version of the Artisul D13 offers vivid colors as it is fashioned with an In-Plane Switching (IPS) Panel and a 1280 x 800 resolution for illustrations that are more crisp and intricate. It acts as an external monitor where you can directly draw on. Supporting 2,048 levels of pressure sensitivity, this model will certainly give you an exceptional drawing accuracy and a working experience you will surely find satisfying. The fine-tip build of its battery-free stylus is made to imitate an impressive pen-to-paper sensation - a feature that not all models can perform. It comes with 10 replacement nibs, but it doesn’t come with a pen stand. You might also notice a minimal lag of the tablet’s response as the stylus moves against the screen. To fix this issue, you just have to recalibrate the pen settings in the device. The Artisul D10 is significantly lighter and cheaper compared to the Artisul D13. It has a sturdy and compact build that is laden with rubber at some specific areas to prevent it from slipping. This model is compatible with Illustrator, Photoshop Undo, Corel Painter, and Brush software which you can conveniently assign to its physical shortcut buttons. Undeniably the best pick for illustrators and hobbyists on a budget, you won’t believe how cheap this model can get in exchange for what it offers. You might be expecting cheap stuff for a cheap tablet, but the Huion H610 Pro will certainly brush that thought off your mind. Of course, this model won’t offer you superior features like that of a high-end Wacom device. But as an artist on a budget, you will find that this is the best pick among budget-friendly models that flood the internet by now. Basically, what you can find when you open the packaging are the following: the tablet, USB cable, battery-operated pen, a pen stand, driver CD, and a user manual. The Huion H610 supports 2,048 levels of pressure sensitivity which is more than good enough to be able to carry out comfortable strokes. You won’t be able to tell any difference when you compare it with some Wacom device’s pressure sensitivity. Another good thing about this model is that its soft programmable express keys have better calibration than that of some Wacom devices - whose susceptibility can sometimes get over-sensitive or unresponsive at all. It also has a pretty set of hotkeys such as zoom, erase, pan, undo, and change brush for a more efficient performance. This model is best compatible with most graphics software such as Adobe Photoshop, Autodesk Sketchbook, and Manga Studio among all others. It supports USB connection alone without the option of wireless connection. You can download this model’s driver by clicking this link. 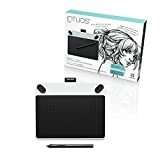 The Wacom Intuos Draw is ideal for beginners as it offers basic features, simple interface, but without multi-touch capability and rotation sensitivity. It is compatible with most graphics software including all Adobe software. You can also find a free art software included in the bundle, the ArtRage Lite, whose features and effects you will surely find enjoyable. This model supports 1,024 levels of pressure sensitivity which is lower compared to our budget pick Huion H610 Pro. But as a beginner, it’s not bad to have this unit to start with. As a small-sized model, you can easily take this with you on the go and work on limited workspaces. However, when drawing larger images, you might feel the need to make a lot of zooming since the size won’t be able to accommodate such images. Since this tablet is not battery-operated, you’ll have to keep it connected to the computer with its USB cord. 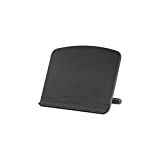 But if that’s a bit inconvenient for you, you can always purchase the Wacom Wireless Accessory Kit here for wireless connectivity and a 15-hour battery life. The pen features ExpressKeys that you can always program the way that would make you work efficiently. It doesn’t operate with batteries so you can be sure to never run out of “ink” at any moment. If you are a left-handed, no problem! You can always set this tablet up for left-hand use. It is lightweight, thus providing comfort and ease of use. Simple as it can be, the Wacom Intuos Draw is best for carrying out small and uncomplicated art projects - just the right pick for starters. This tool is best designed for animators of modern cartoony games or of characters that play in contemporary anime series. Professional illustrators like architects, engineers, and animators would best benefit from this model as it has all the features every pro would ever need (and want) in a drawing tool. So if you are a beginner or a hobbyist, you may want to use this information as a future reference once you decide to go pro. 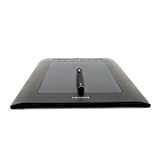 Wacom Mobilestudio Pro 13’s digitizer technology is far superior when compared to other Wacom Pro series with its 8,000 levels of pressure sensitivity and pixel-level pointing accuracy which is capable of placing your pen pointer on the screen tablet at an excellent level of precision. You will be impressed by its pen-to-screen interface as it perfectly allows you to comfortably manipulate computer controls since the tablet and your monitoring screen will match with each other’s aspect ratio - something that your mouse or trackpad can never do. Your hands will find comfort using the Pro Pen with its interchangeable pen nibs and buttons that can be easily traced with your fingers. It comes with a pen holder that can be attached to the tablet for safe and convenient transport. The best features that would make you want to purchase this model are its personalized software, cool and comfortable express keys, excellent pen interface, and screen gestures that are way exceptional than its counterparts such as the Surface Studio and the Surface Dial. This model comes with an 8-megapixel camera as well as a scanner that is not readily available to other models. The Wacom Cintiq 13HD showcases an impressive screen display that features 16.7M colors and a resolution of 1920 x 1080 - capable of taking your digital illustrations to life. It has an HD LED display giving you a full HD viewing and more surface area to work on large drawings. Another great feature of this model is that the tablet itself acts as the monitor where you can directly work on your sketches. However, it doesn’t work independently. You still need to connect it to your computer since the programs are going to be loaded there, not on the tablet. Supporting 2,048 levels of pressure sensitivity and tilt recognition, this tool is perfect for more precise and sophisticated artworks. It is a very accurate tool with its close-to-perfect cursor calibration for a more intricate and detailed output. You will like the weight distribution of its pen that will give you a more comfortable feel enabling your hands to perform smooth and impeccable strokes. It has a high-end design with a glass finish and easy-access ExpressKeys and buttons such as four time-saving and Rocker ring. Its stand has 3 different positions to choose from - 22, 35, and 50 degrees - so you can adjust to the best angular position that works best for you. Cintiq 13HD also features an Anti-glare coating that blocks surrounding light from affecting the brightness of the screen. Who doesn’t love the Samsung Galaxy Tab S3? I personally consider this as my best option when it comes to style, functionality, and versatility. What I love most about this tablet is that it is compatible with anyone - whether you are an illustrator, a student, or an entrepreneur - and offers a wide variety of functions. If you are still surprised why this model made it to this list, you will learn that the Samsung Galaxy Tab S3 has more to offer than just being your all-around go-to device. Above every reason why this device made it to this list is the fact that it has been considered as a top-notch productivity tool and the best Android drawing tablet on the market. If you are an artist who loves to work on the go, you are at the right spot. Offering cinematic vividness, crisp detail, and brilliant contrast, this tablet will undoubtedly bring your artworks’ character to life while enjoying excellent drawing experience at the same time. On top of that, you will learn that its drawing performance is pretty superior on most commonly-used drawing applications that you can download from the Play Store. What I love about this whole thing is the S Pen that works perfectly well without giving you lags and disappointments. Maybe this could be one of the best reasons why you would want to buy the S3. It is very pressure-responsive that may drive you to keep drawing more! So whether you are a starter or a pro, the Samsung Galaxy Tab S3 will work just perfectly for you wherever and however you may want to unleash your artistic skills. Another of my personal favorite is the very capable iPad Pro 12.9. Many would compare Samsung Galaxy Tab S3 to this model of Apple, but both of them are unique, beautiful, and functional in so many different ways. You know that you can use your iPad in endless ways, but your iPad as a drawing tool gives you endless possibilities. It acts as your monitor while you draw on the go so you won’t need to connect it to your main computer. The marks you make on the screen feels nicely close to your pen tip that feels like you are drawing with an actual pen and paper - a sensation every digital artist wouldn't trade for anything. When it comes to drawing applications, digital artists swear by Procreate that helps you create beautiful and inspiring illustrations on the go. Now you can also enjoy Adobe Photoshop as much as you want since it has also been already made compatible with the iPad Pro. You can’t also miss Astropad, a program that turns your iPad into a drawing tool for your Mac. Once you indulge yourself with this brilliant program, you would find it really hard to stop. Another cool feature this unit offers is the True Tone display which makes your device perfectly adjust to the color temp of your environment to give you warmer and more consistent colors that are lovely to the sight. Stylishly built with a solid yet lightweight body, Microsoft Surface Pro 4 - an update of the Surface Pro 3 - is a promising model packed with significantly appealing features from the inside out. This device features the Type Cover or keyboard - which you can purchase separately - that responds nicely to the touch and is comfortable at the same time. It supports 1,024 levels of pressure sensitivity with an outstanding pen-to-screen tracking for sleeker strokes and precise output. The new battery-operated Surface Pen has undergone various improvements such that it has become one of the best digitizing tabs you’ll find in the market. 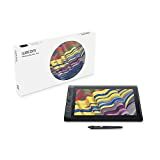 It works perfectly with Adobe Illustrator, Photoshop, and Clip Studio and has a high-resolution screen for more vivid colors as well as good viewing angles. 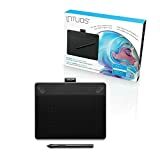 The Wacom Intuos Art is an entry-level drawing tool at a lower price, but we consider it as the best tablet with multi-touch capabilities because it allows you to use your fingers to scroll, flip, rotate, zoom, and navigate using finger gestures. It supports 2,048 levels of pressure sensitivity for a more natural feel of your strokes and movements. It has four ExpressKeys at your disposal so you can create shortcuts the way you would program it. It works perfectly with all Adobe Programs such as InDesign, Photoshop, Autodesk, and Illustrator. 301.88 x 209.6 x 11.95 mm / 11.89 x 8.25 x 0.08 in. Tip No. 1 - Seriously take good care of your tablet. Your drawing tablet is an invaluable addition to your hobby or digital art profession and can cost you hundreds - or even thousands - of dollars. In order to make the most out of your drawing device, handling it with utmost care and importance is one of the paramount reasons I would recommend. Never spill liquids onto your tablet and its accessories as this can greatly affect their performance level. Liquids can damage the electrical circuits of your device and can even lead to corrosion. In addition to that, prevent your device from being exposed to extreme temperatures as too much heat or cold can damage its processor or even diminish its battery life. Keep your device clean by utilizing an anti-static cloth and of course, gentle pressure when cleaning it. Treat the active area with utmost care. It’s a must to be conscious about your tablet’s welfare at all times! Tip No. 2 - Settings first. Make sure to install the right drivers for your device. Prioritize checking your driver and pressure settings, pen-to-screen sensitivity, etc. before even using your device. The software you use matters, so try to find out what suits you best and what makes you use your device more naturally. Make efforts in gathering helpful tips, finding out pros and cons, as well as solutions to tablet drawbacks. Tip No. 3 - Replace your pen nibs as needed. Friction between your pen nibs and tablet screen can result in sharper nib tips that can lead to screen scratches if you don’t mind changing them. Also, make sure to experiment with different nib types, and you will learn that each type specifically suits for particular tasks you are going to perform. Tip No. 4 - Make use of your device’s ExpressKeys or shortcuts. This extremely helpful feature that enables you to carry out tasks efficiently is sometimes forgotten. These shortcuts allow you to speed up your workflow and focus more on your strokes rather than having to spend precious seconds of your time moving your cursor through the toolbar. You can easily customize these buttons or keys with your favorite functions, and you’re very good to go. Tip No. 5 - Make yourself comfortable with your tablet as you would with pen and paper. I know drawing tabs can at first get annoyingly cumbersome. The lovely feel of sketching over a paper using a conventional pen is such a delightful feeling, but once you get past the learning curve, you will realize that you’re already enjoying your tablet as you did with pen and paper - or even more! Keep experimenting and practicing with your device’s features and capabilities, and with time, you will surely get the hang of it. As the cliché goes, practice makes perfect! Having considered functionality, excellent drawing experience, output, and best value for money above all things, the Wacom Intuos Pro Paper Edition is our top choice among the best drawing tablets in the market. Every illustrator who enjoys art for a living or to satisfy his hobby will never go wrong with this excellent choice.